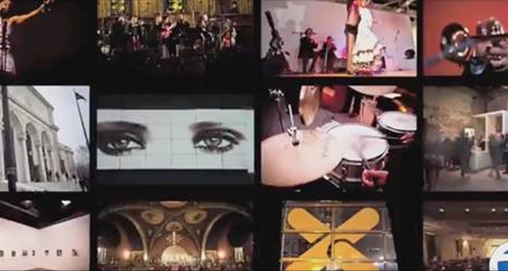 The new season starts when the group meets at Detroit’s Eastern Market, on March 29 at noon. The Roll departs at 1 p.m. Slow Roll is a weekly Monday night group bicycle ride. 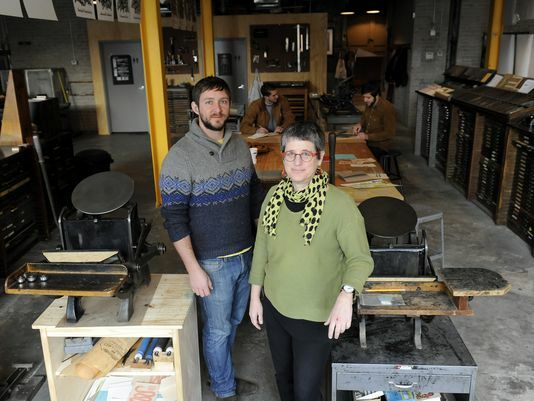 Started by Detroit Bike City Co-Founders Jason Hall and Mike MacKool back in 2010. Slow Roll has grown into Michigan’s largest weekly bike ride and has expanded to 8 cities so far. Slow Roll is for everyone, all ages and types of bikes, with a slow pace that’s geared to keep everyone together and safe. 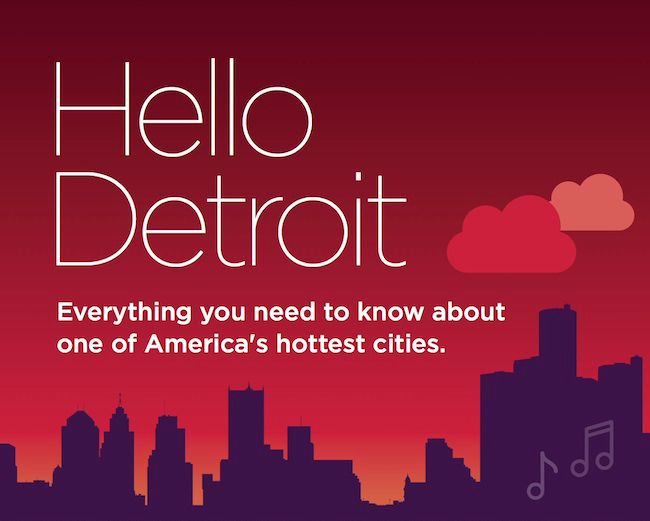 A welcoming group of Detroiters provide for lots of positive energy and an amazing community. This year participants must be members of Slow Roll to defray the cost of permits, police support for traffic control, event insurance and more. A basic membership is $10 per season. That’s right – 30 rides for ten bucks (only 33 cents per week!). No one will be turned away if they can’t pay. For details visit www.slowroll.bike/memberships. This entry was posted in Detroit events, Eastern Market, sports and tagged Slow Roll. 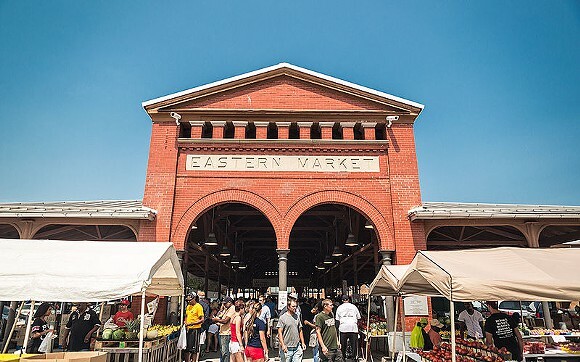 Eastern Market, a Show Me Detroit Tours favorite spot, has been selected by Country Living as one of eight must-see markets in the U.S. The list’s author mentions Eastern Market’s famous Flower Day, but the short blurb leaves out that the summer months also hold a Sunday market for crafters. 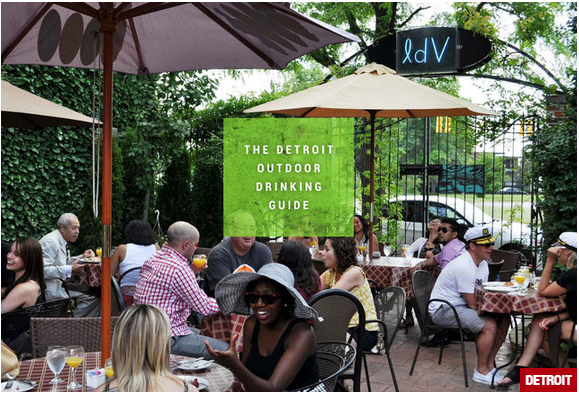 Among the area’s other offerings are a ton of local businesses including Supino Pizzeria, Russell Street Deli, Rockys Eastern Market, Savvy Chic, Eastern Market Antiques, Michigan Artisans, Blue Velvet Detroit, and a ton more. Get in touch with Show Me Detroit Tours (313.444.2120) to schedule an up-close tour of the market and other attractions in Downtown and Midtown Detroit. This entry was posted in Eastern Market and tagged Blue Velvet Detroit, Eastern Market Antiques, Flower Day, Michigan Artisans, Rockys Eastern Market, Russell Street Deli, Savvy Chic, Supino Pizzeria. 39 photos from the Detroit Mercantile Co. Located in Detroit’s historic Eastern Market, The Detroit Mercantile Co. offers a curated collection of “Made in the USA” new and vintage items from our hometown of Detroit, the Great State of Michigan, and across America. You’ll find the store at 3434 Russell St. in an original Detroit Fire Department repair facility, just north of the market sheds. Just look for the big yellow doors! 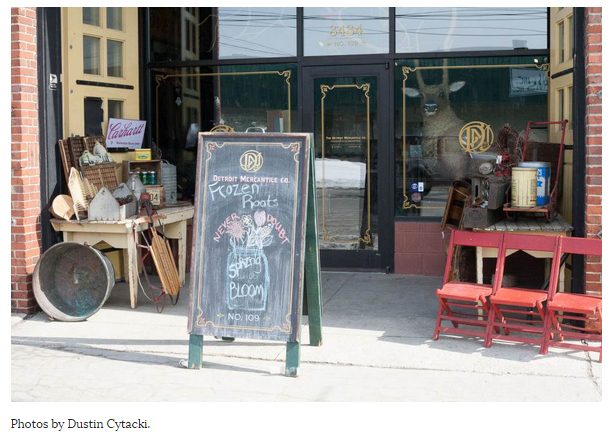 This entry was posted in Detroit Business, Eastern Market and tagged Detroit Mercantile Co..